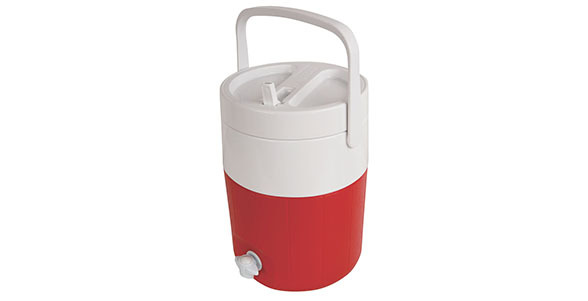 Keep the group cool and hydrated on sweltering days with a Coleman® 2 Gallon Beverage Cooler. The wide mouth top makes for easy filling, including adding ice by the handful. Two dispensing options give you added versatility with this beverage cooler. Either place it on a table top or bench and let entire groups fill their cups from the easy-use faucet, or open the flip spout to grab a quick drink without a cup. Either way, the bail handle makes carrying easy, and the screw-top lid stays secure, so no matter where you go you'll always have a refreshing drink ready for you.